Rampage was a crazily addictive video game which debuted in arcades back in the 80’s. Its premise was simple: players took control of either a giant gorilla, lizard or werewolf and were tasked with causing as much mayhem and destruction in a city, tearing down buildings before the army took them out. It’s a game that many who grew up playing video games back in the 80’s surely remember fondly, and is as classic a video game as they come. However, it’s likely that even fans of the video game were stunned when Warner Bros. announced back in 2011 that a movie based on the game was getting made. The Rampage movie is being helmed by director Brad Peyton, while Hollywood superstar Dwayne Johnson (aka The Rock) plays the lead role. 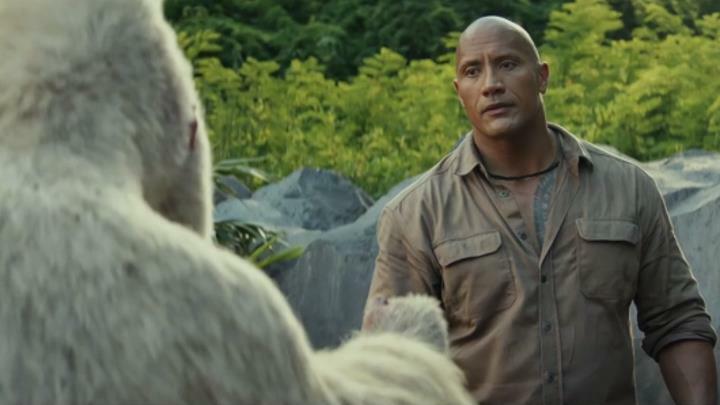 But despite The Rock’s star power and Peyton’s directorial skills (the man was also behind box office hit San Andreas), it seems like a Rampage movie is something of a bad idea. That is, unless Dwayne Johnson is able to deliver a really good performance in the lead role and add a little depth to the film, something that seems unlikely judging by his earlier performances in mass-market, braindead movies like this one such as Doom, another video game movie that bombed back in 2005. And we must bear in mind that a Rampage movie will be going against the infamous “video game movie curse”, the unwritten law which says that video game movies simply aren’t very good. Actually, even a big-budget production like Disney’s Prince of Persia (which was a semi-decent movie actually) failed to be as big a box office hit as Disney wanted despite its lavish production values and the presence of top-notch actors like Ben Kingsley. The same thing happened to 2016’s Assassin’s Creed, which despite boasting A-list talent like Marion Cotillard and Michael Fassbender can’t be considered a great movie by any stretch of the imagination. And worryingly enough, it seems that Rampage’s director Brad Peyton had apparently never heard of the video game movie curse, as he told IGN in a recent interview. “I didn’t know about this quote-unquote ‘video game curse’ until about two weeks after I finished the movie”, Peyton said. But the director claims to have the formula required to make a video game movie like this work, saying it involves surprising viewers, and letting them have fun. “With these movies, the challenge is to constantly be unpredictable, and to constantly entertain. And I think the most entertaining stuff is the stuff that, you just cannot see what’s going to come next”, Peyton told IGN. So, will Rampage not only do justice to the classic video game it’s based on, but also manage to break the video game movie curse once and for all? I have some hope for the former, as this could actually end up being an entertaining summer flick judging by the trailer above. The latter though, is unlikely, as it’s simply too hard to turn a video game’s awful plot (or lack of it) into a good Hollywood script, although Rampage might yet surprise the critics this summer. Here’s hoping though, that this at least turns out to be a watchable flick which avoids the sins committed by the worst video game movies to date. But as is always the case, it’s a matter of wait and see in order to find out whether this can actually break the video game movie curse and be a box office hit this summer too. Next: GTA 5 sells 90 million copies – is it the best-selling video game of all time?